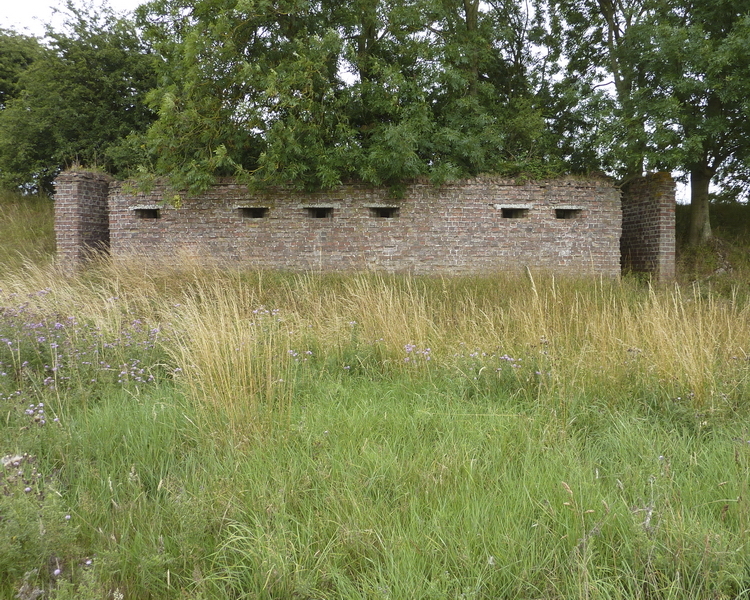 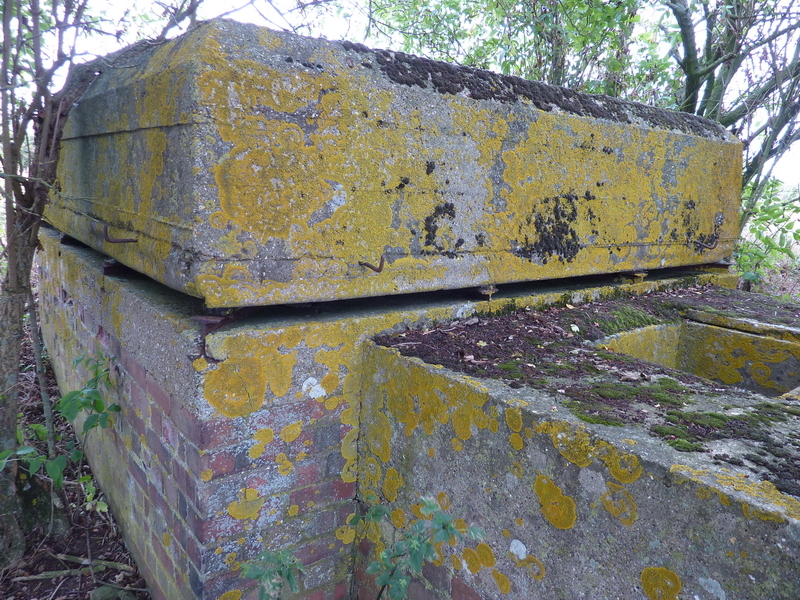 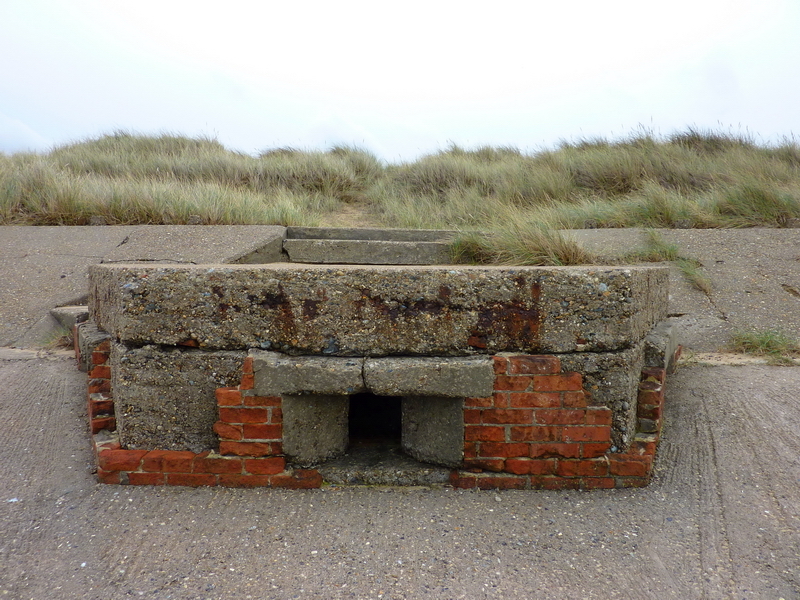 Came across these whilst on a recent Road Trip, a couple of rather sorry looking Type 22 Pillboxes on the North Norfolk Coast. 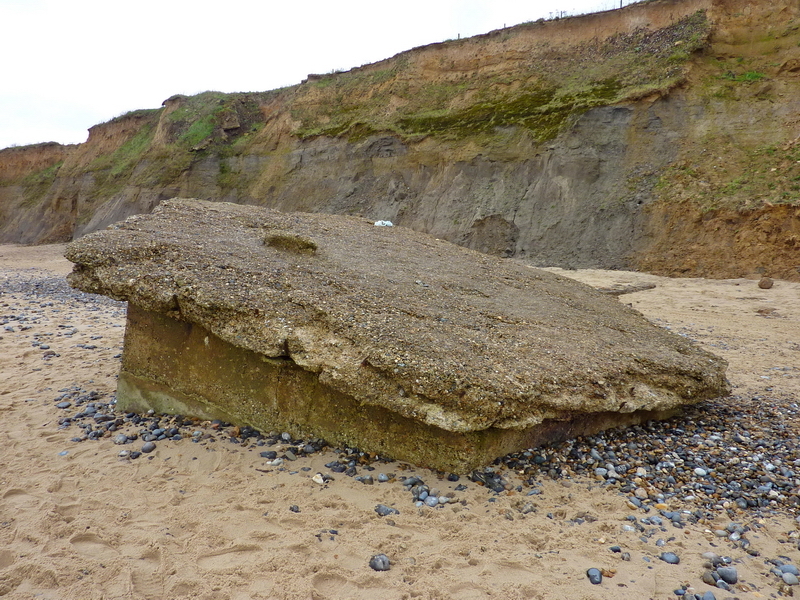 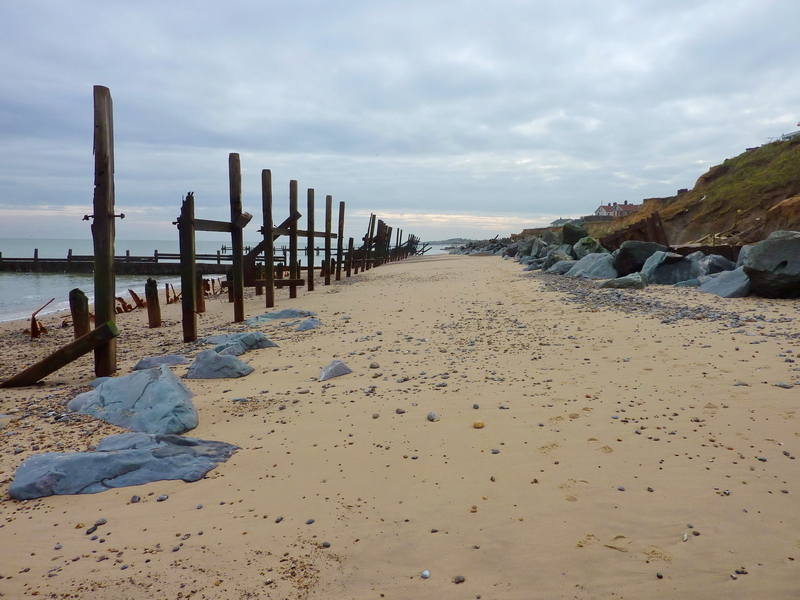 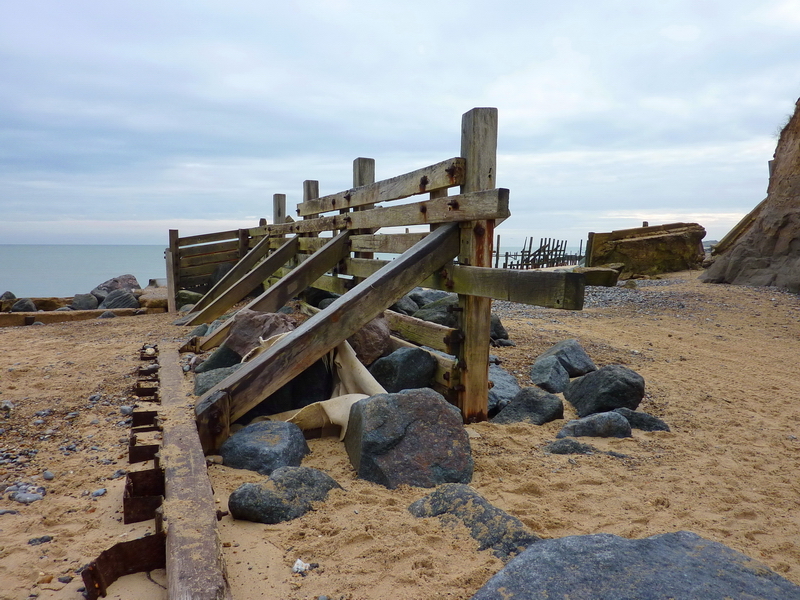 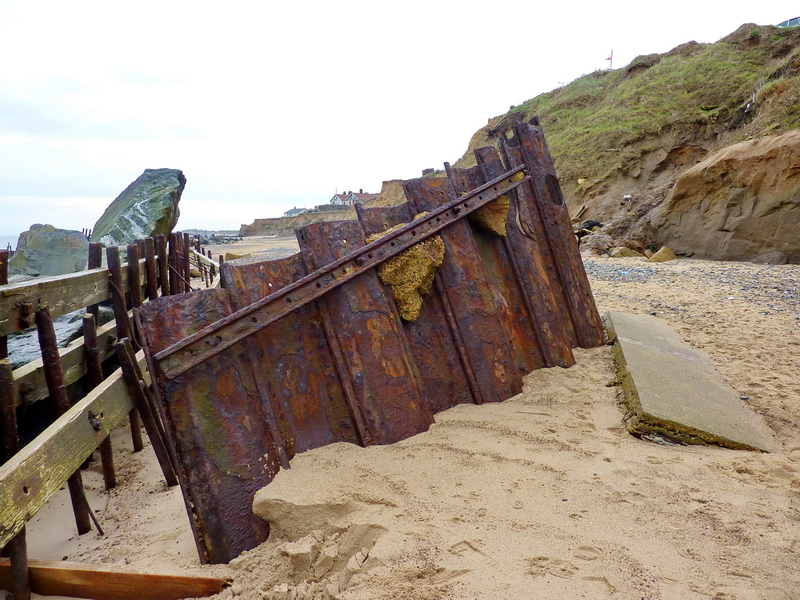 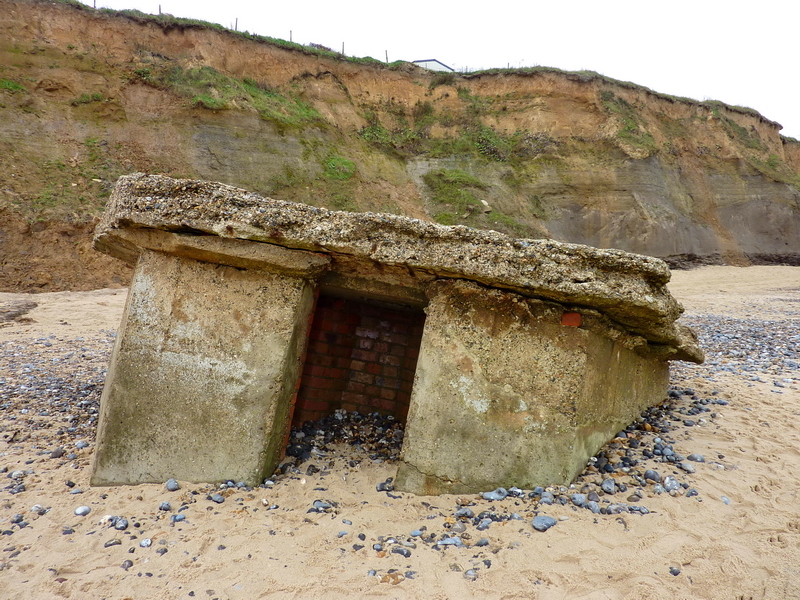 One had been built into the Sea Defences and the other had fallen upside down off a clifftop…The reason for this is the rather pathetic looking Sea Defences that were installed in the 1950’s, the cliffs lose 2 meters a year in erosion from the North Sea. 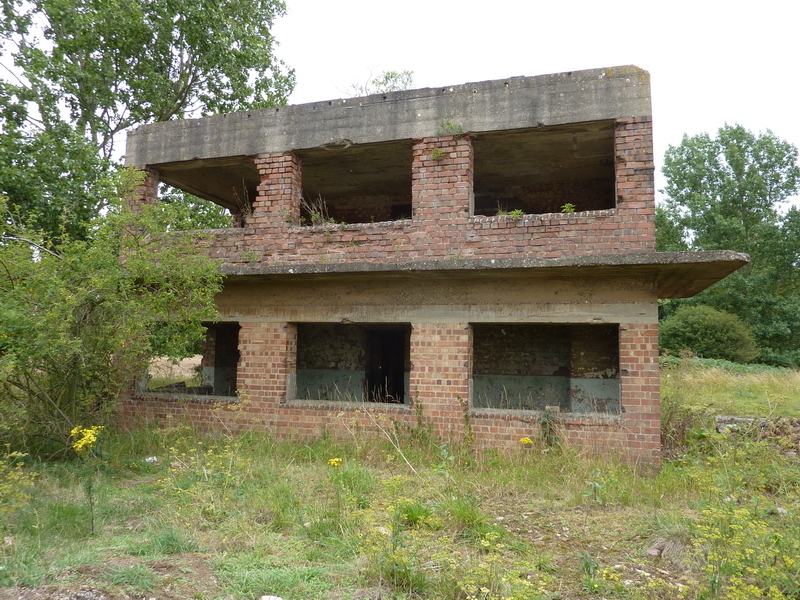 Straying from the Cold War theme slightly here is my attraction to old airfields, I’m not big on WW2 stuff but these places provide a certain draw to me and I’m lucky to have many old RAF/USAF sites very near to my house. 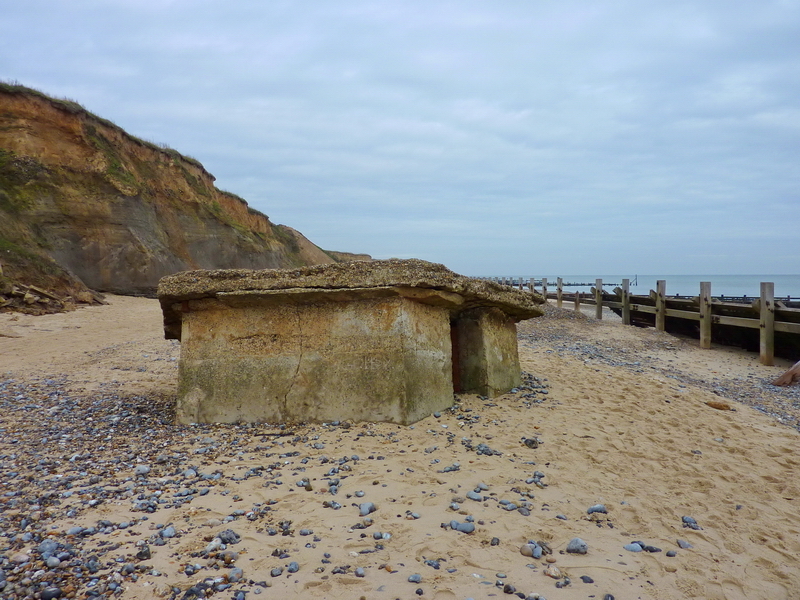 A full report on one of these sites will follow in the near future but for now here’s a small article on Cantilever Pillboxes. 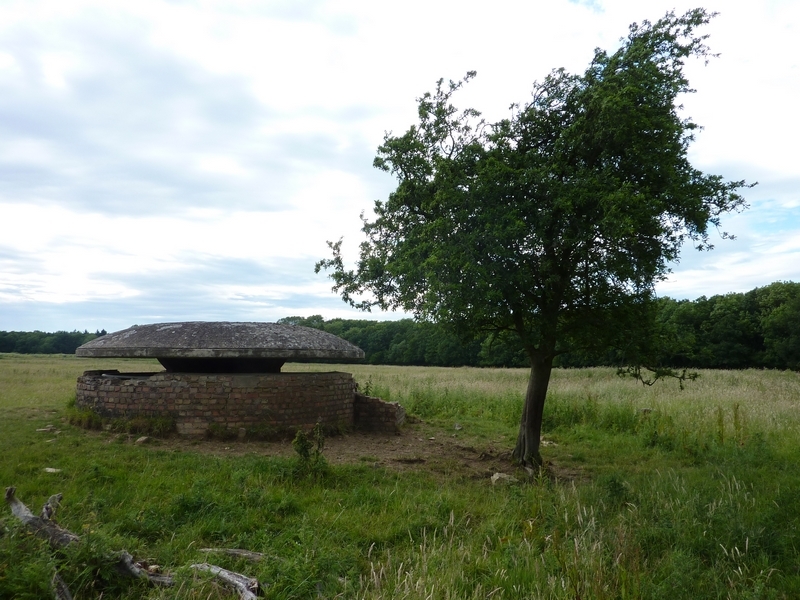 Cantilever Pillboxes, more commonly known as Mushroom Pillboxes are found only on airfields and mainly in the East of England, they are of a circular design, partially sunken into the ground and have a 360 degree embrasure (opening) to allow weapon fire to be layed down in any direction. 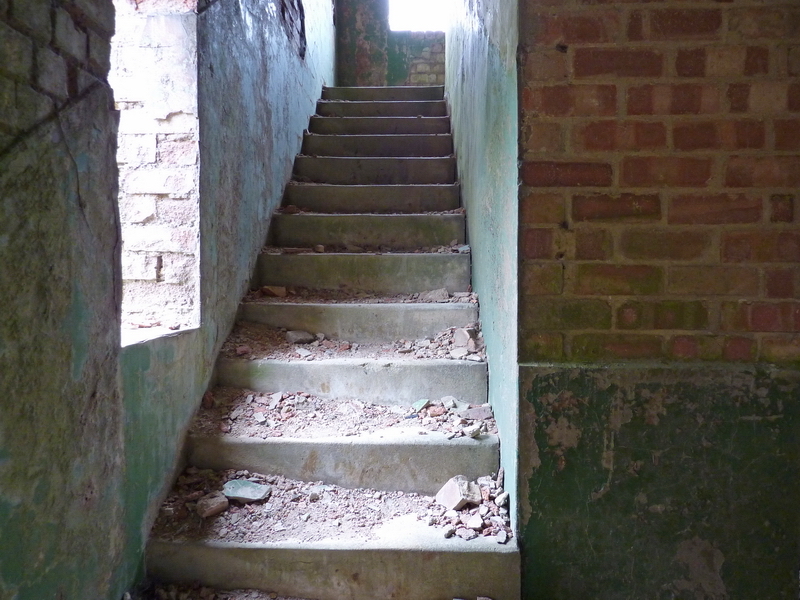 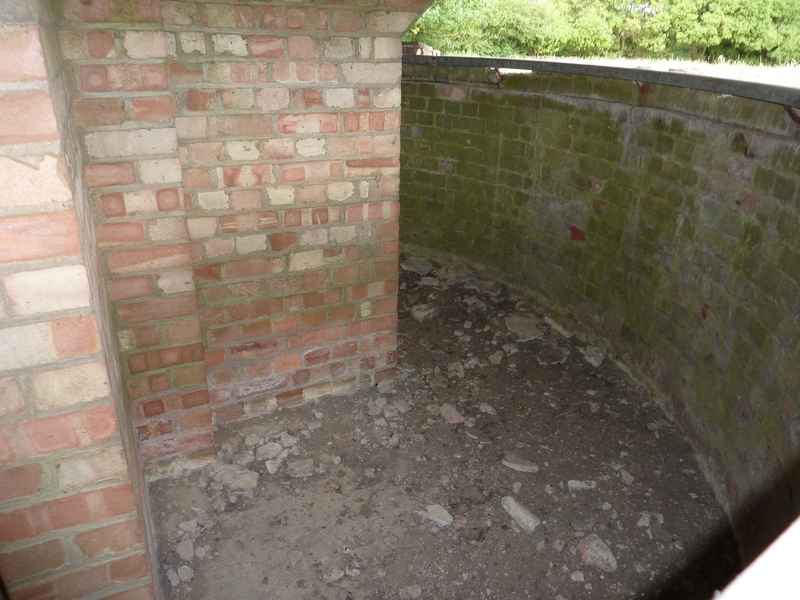 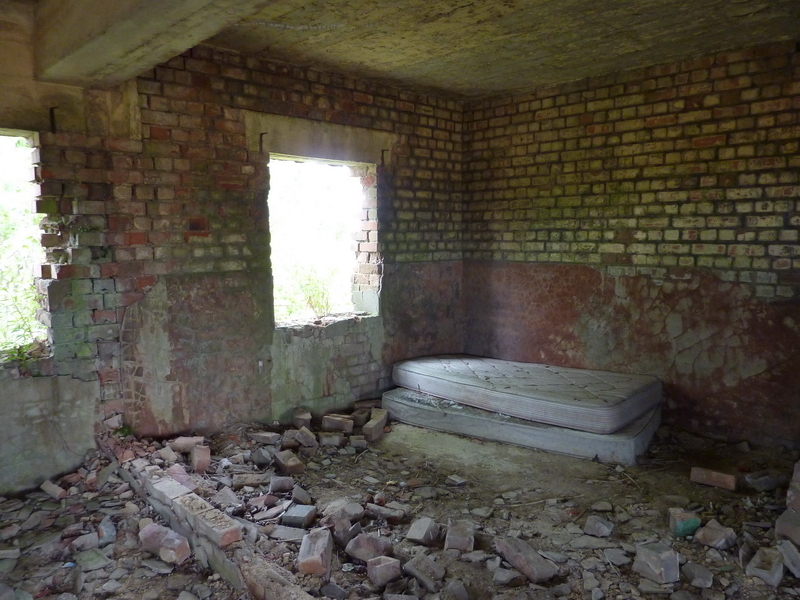 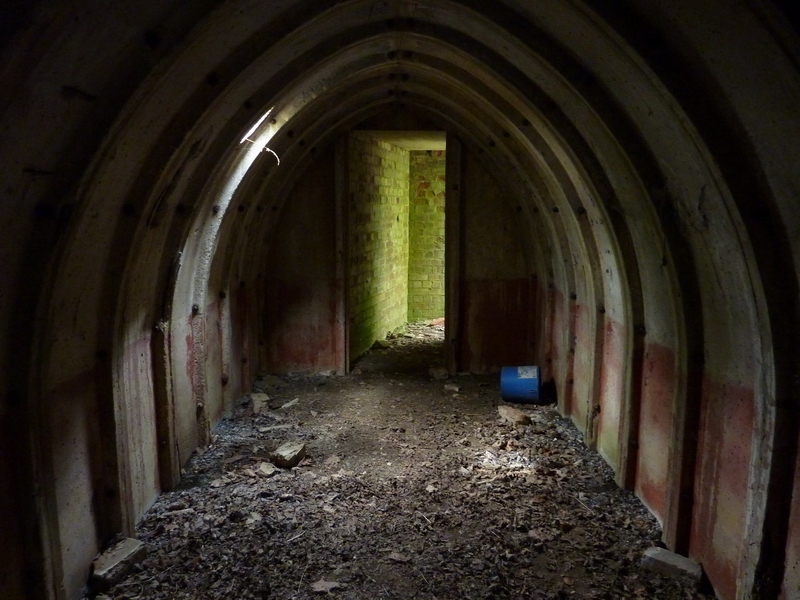 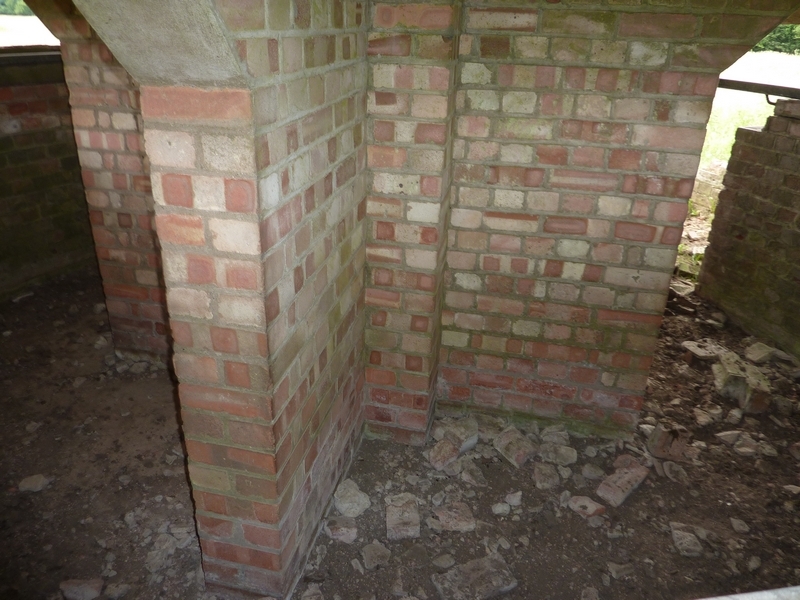 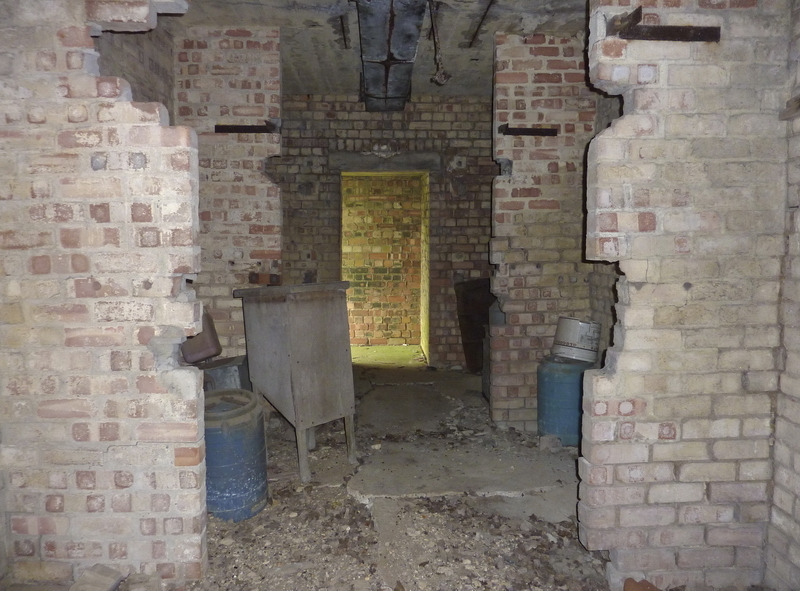 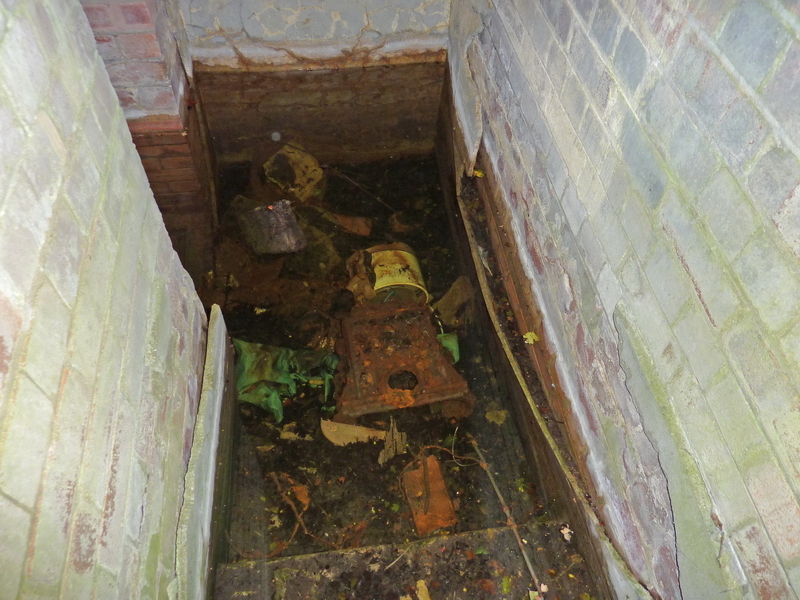 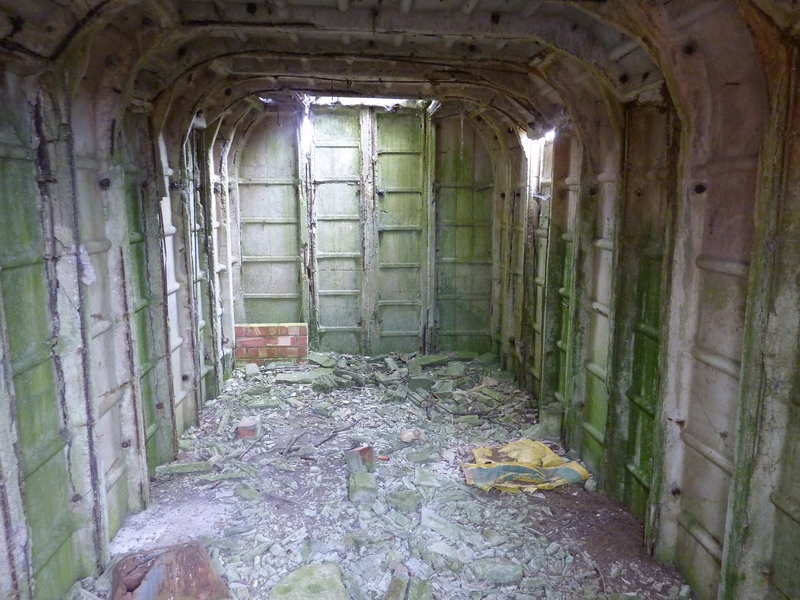 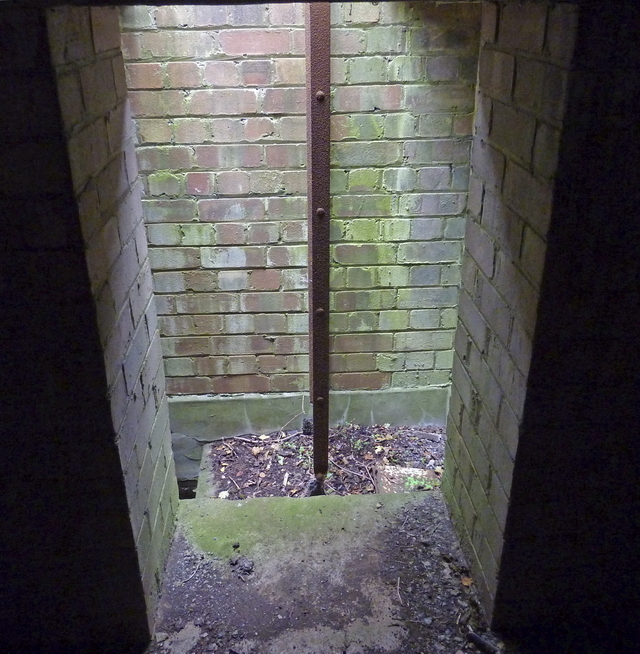 Just inside the embrasure and attached to the brickwork is a circular gun rail so a machine gun could be moved almost anywhere in the pillbox to lay down fire. 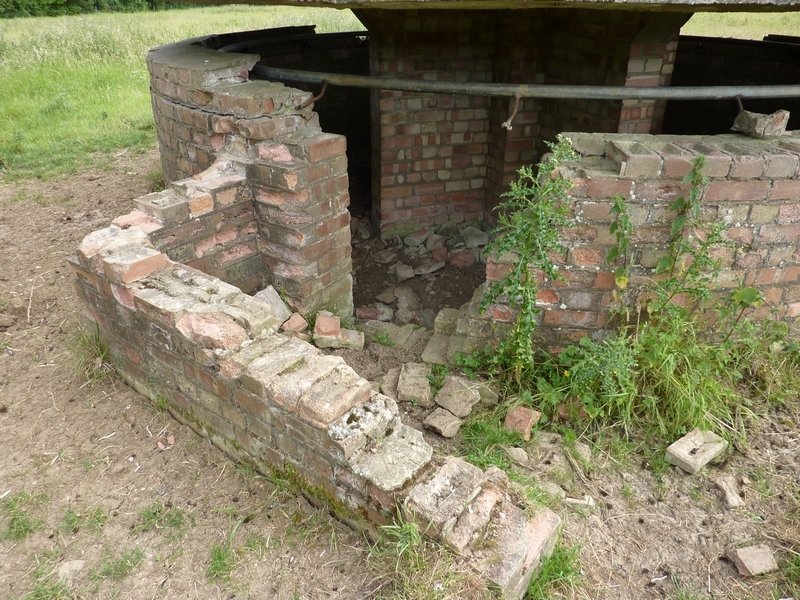 The construction of these two are of a circular brick built base with a central cruciform wall which in turn supports a poured concrete dome. 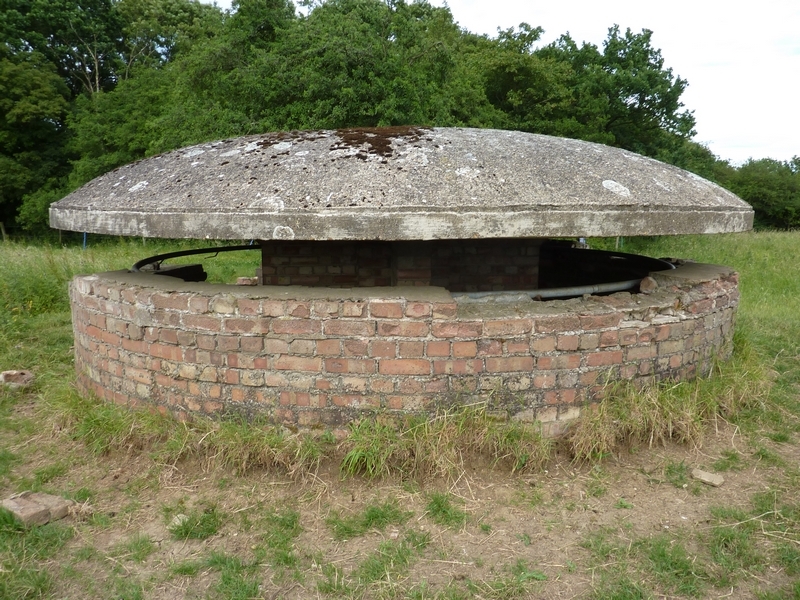 The example in the photo’s below is from RAF Grafton Underwood and was in a defensive position at the north end of the No.1 Runway. 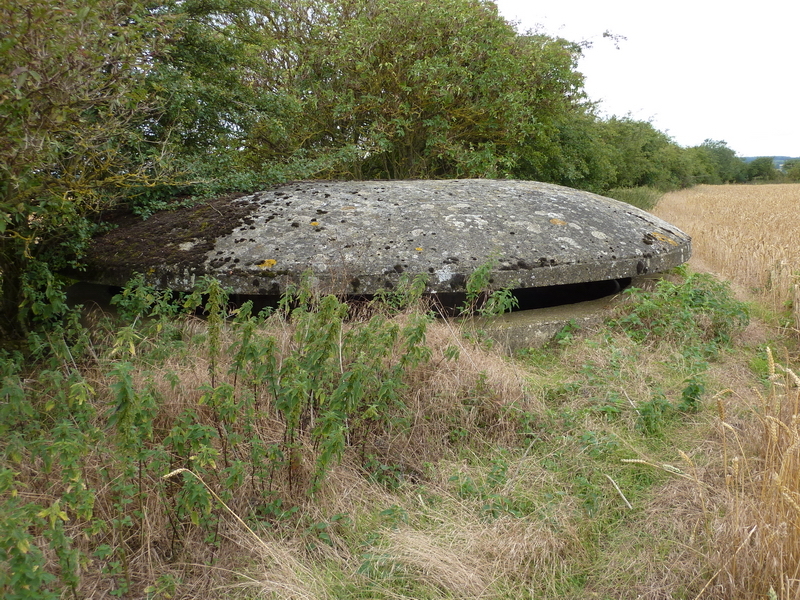 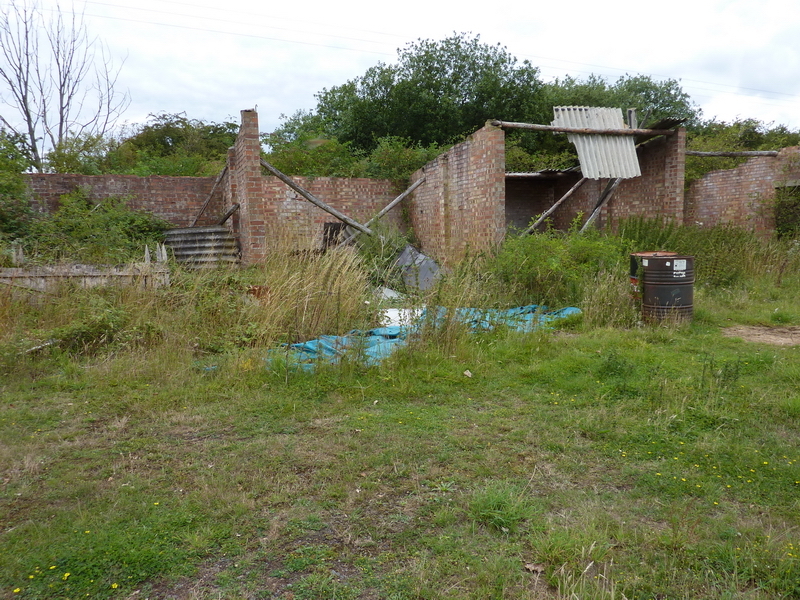 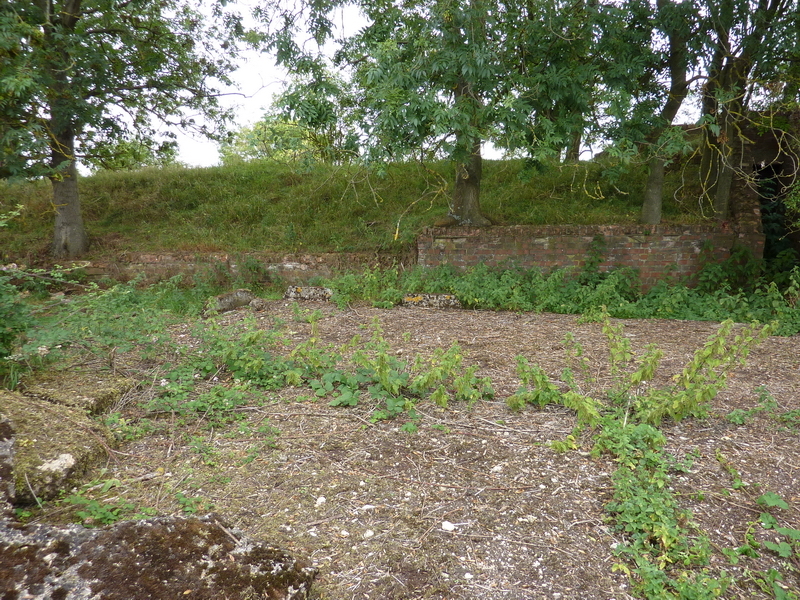 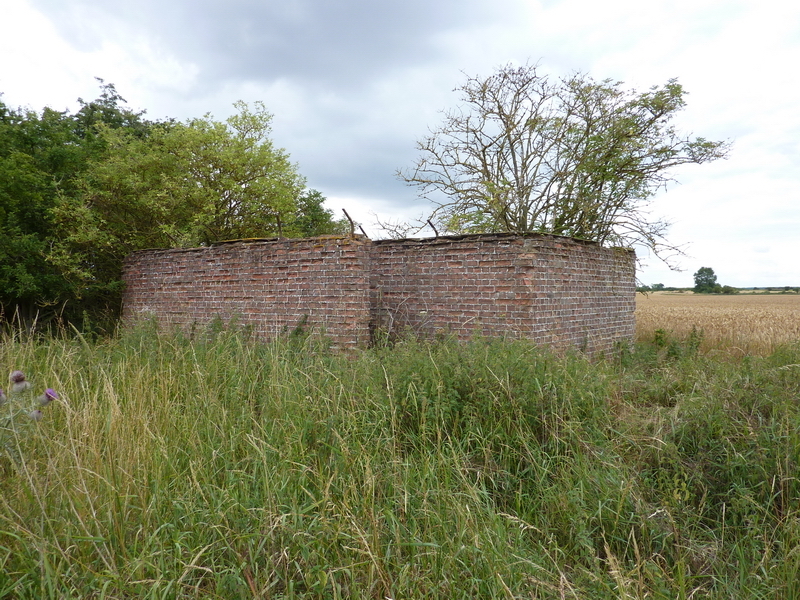 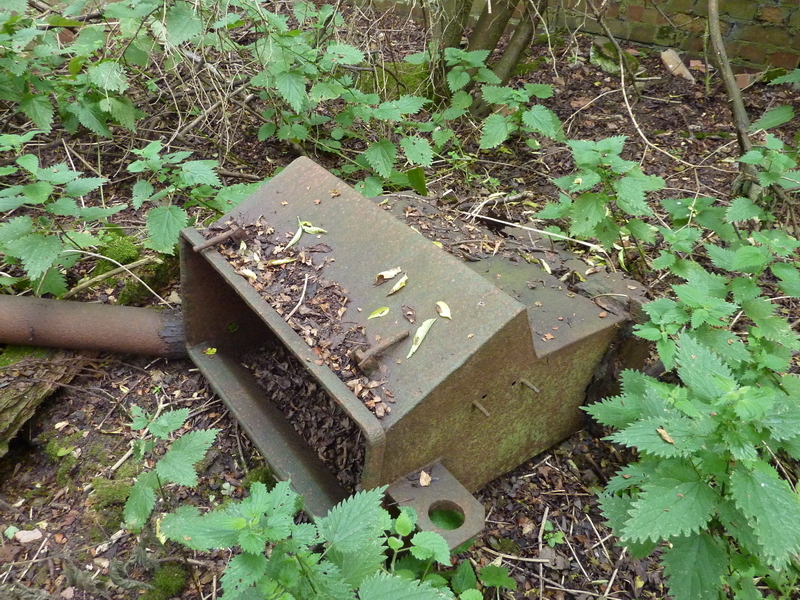 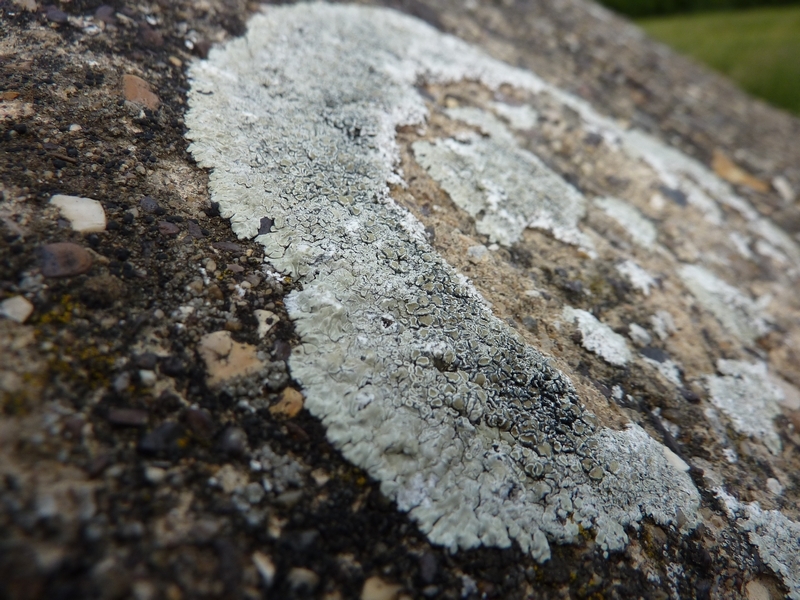 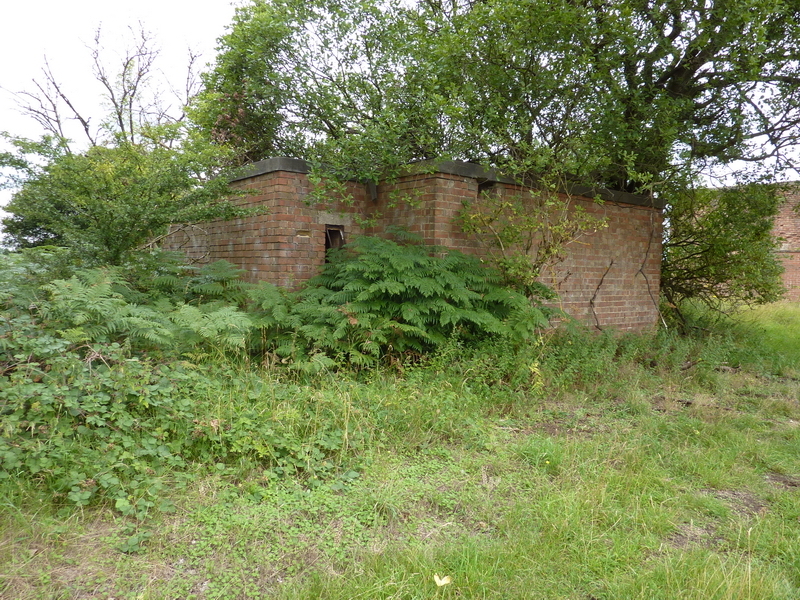 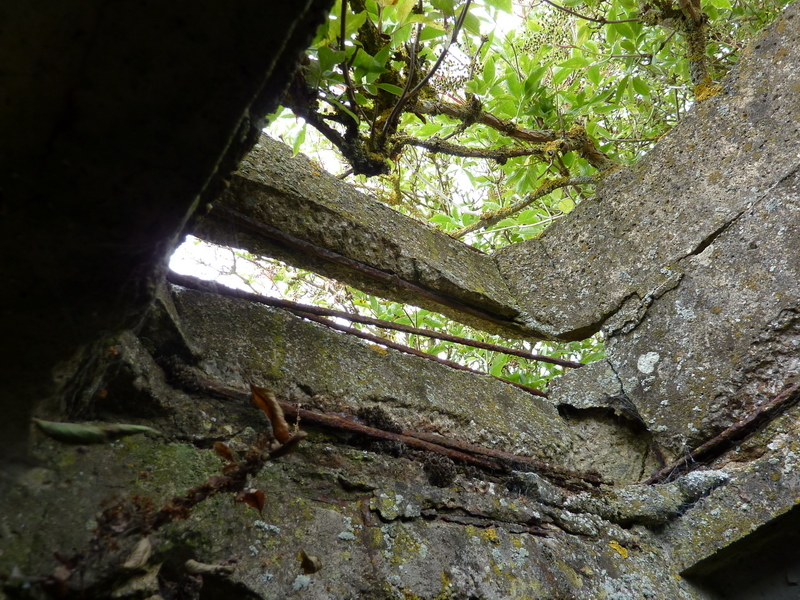 A second Mushroom Pillbox is also present on this site but the roof has sadly collapsed. 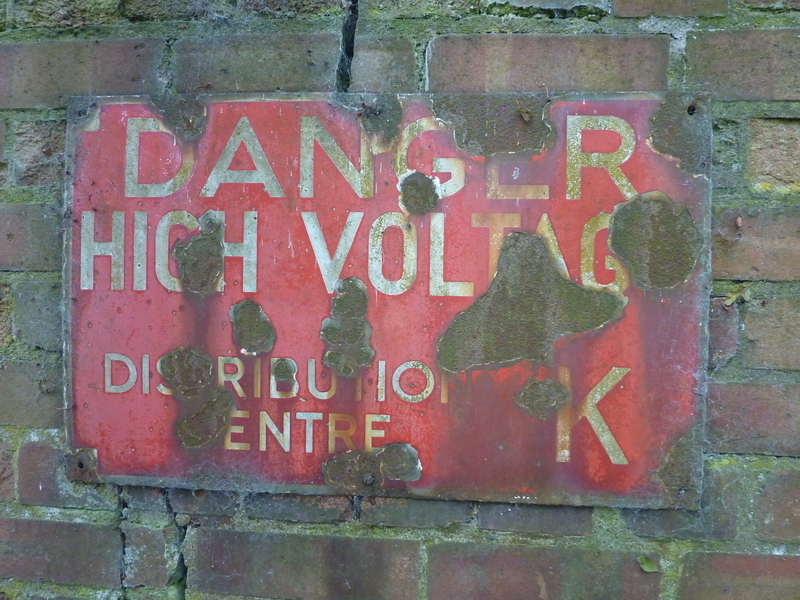 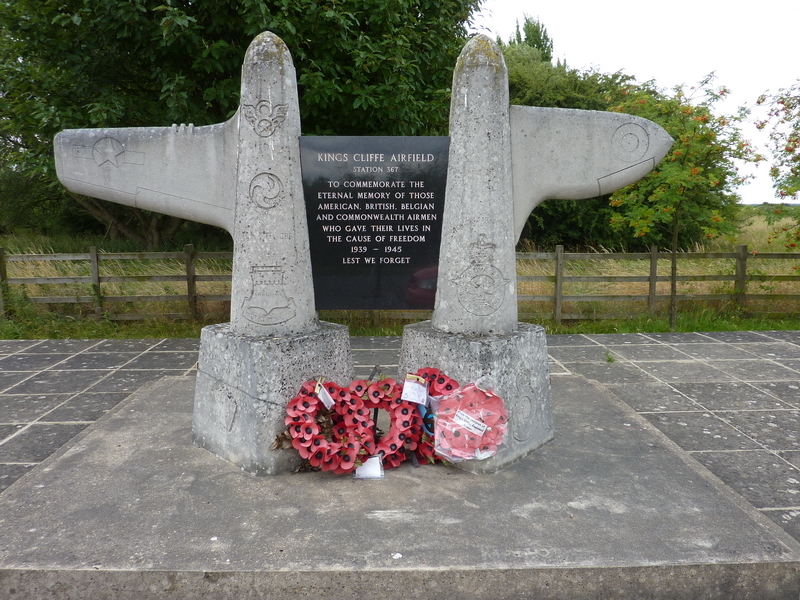 The airfield was opened in 1941 and was first used by the RAF Bomber Command 1653 Heavy Conversion Unit with Liberators. 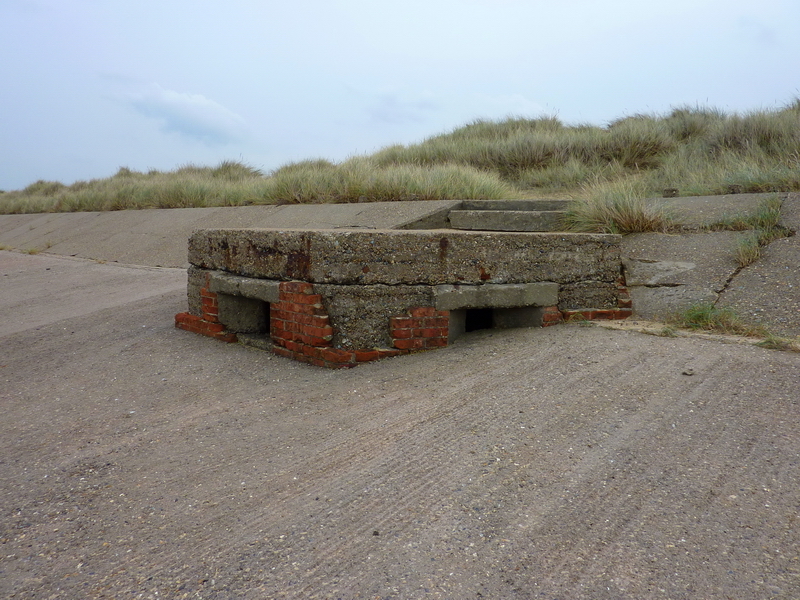 The original runways were approximately 1,600 yards and 1,100 yards in length. 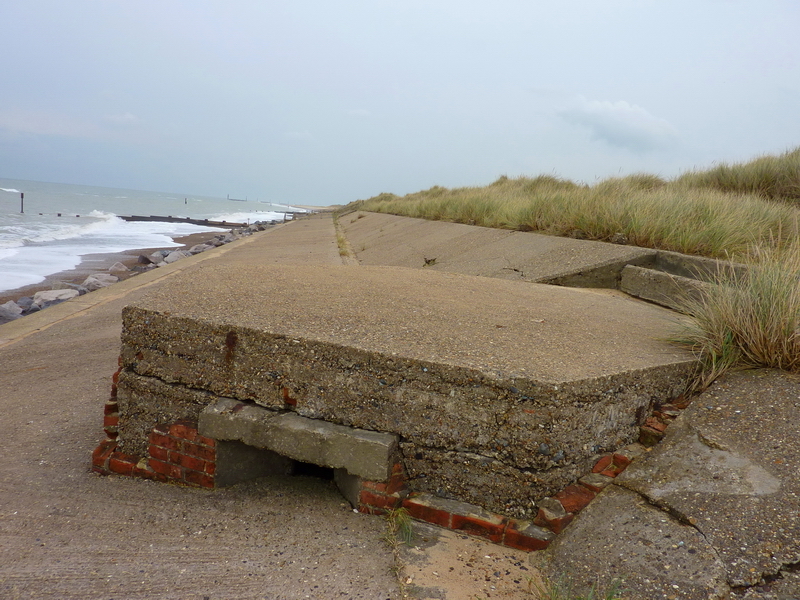 The runways were not suitable for the operation of heavy, four-engined bombers so the airfield was upgraded to Class A, including the lengthening of the runways to the required 2,000 yards for the main and 1,400 yards for each of the others, started in late 1942. 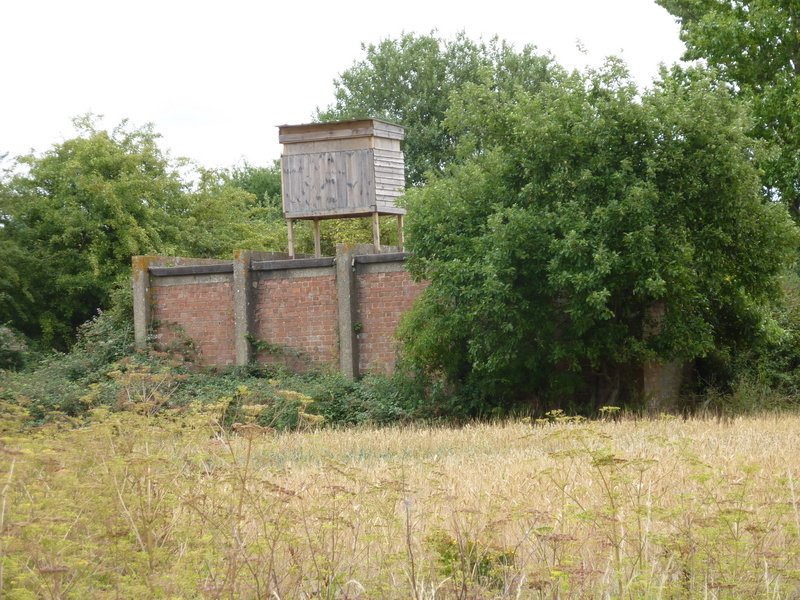 As a result of this Grafton Underwood was assigned United States Army Air Force Eighth Air Force in 1942. 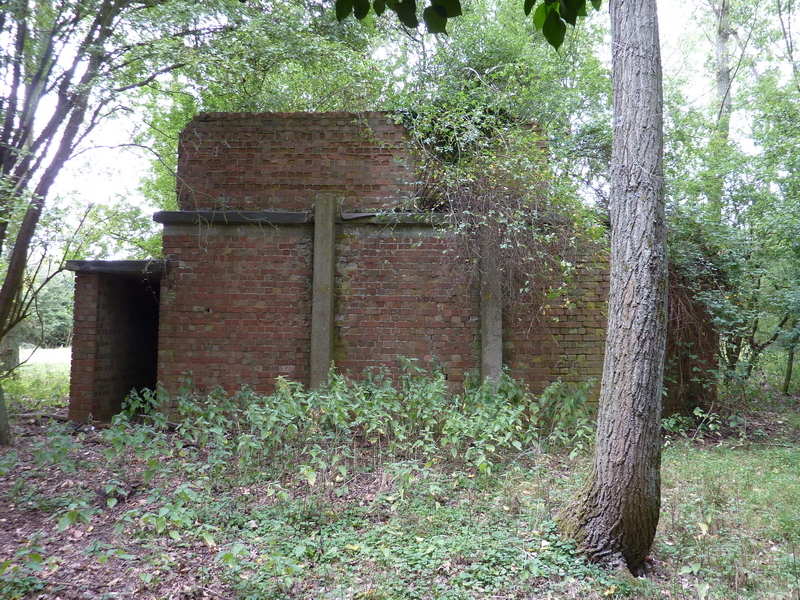 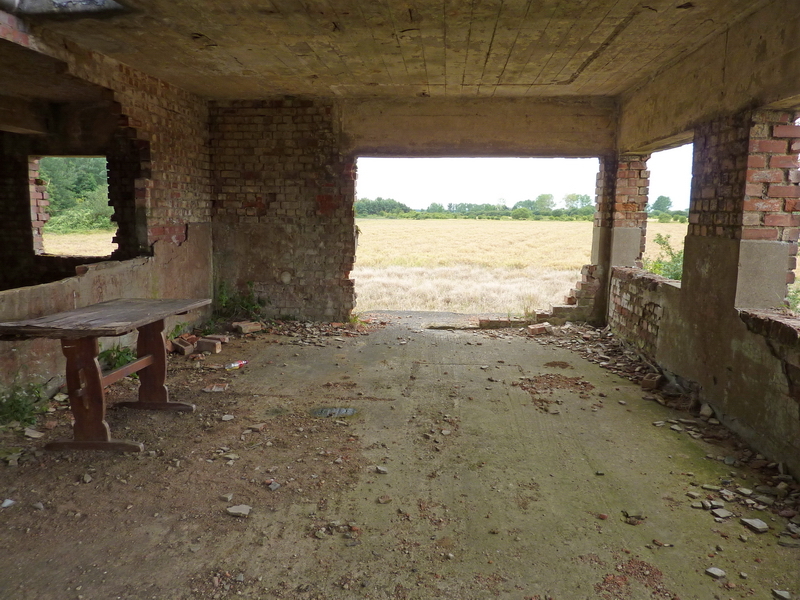 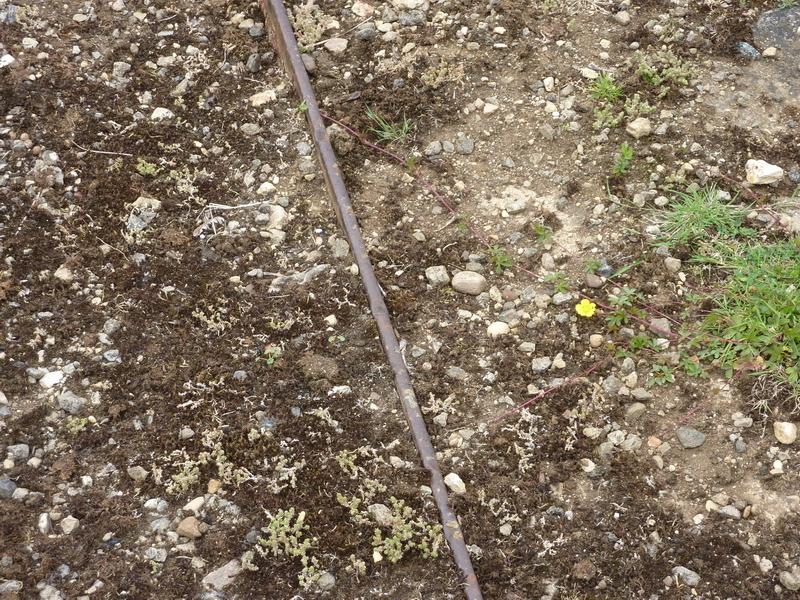 Its designation was USAAF Station 106. 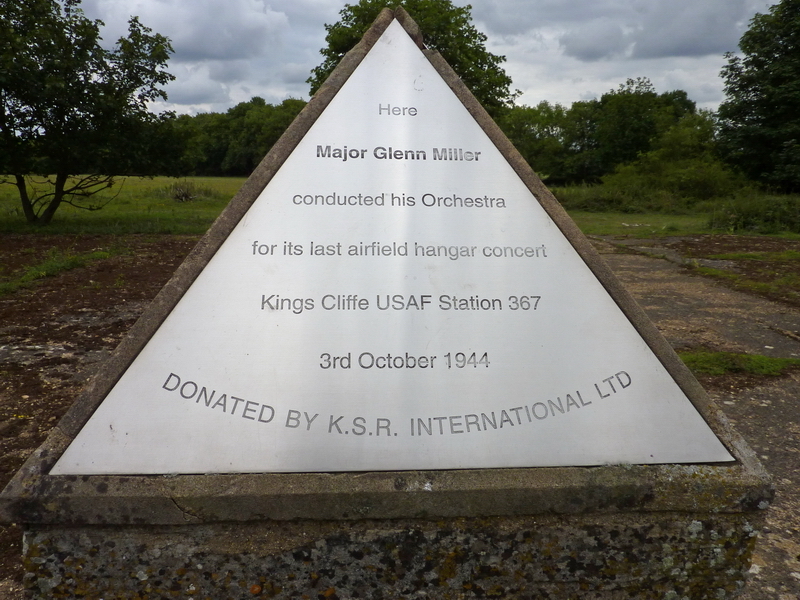 The airfield became a major base for the USAF and many squadrons were based there during WW2 – 15th Bombardment Squadron (Light), 97th Bombardment Group (Heavy), 305th Bombardment Group (Heavy), 96th Bombardment Group (Heavy) and 384th Bombardment Group (Heavy).